"Compared to their peers, first-generation college students cannot ask their parents about what college life is like. Most of our participants' parents never went to college, and none graduated," Erba said. "We wanted to find out where these students turn to get their information on college life and what role media played in setting their expectations." The findings showed that participants based assumptions on media of all types, including movies, television, social media, college brochures and schools' websites. The majority of the respondents reported those assumptions did not match their experience three months into their first year, when the interviews were conducted. They also emphasized that they relied more heavily on media they perceived as credible, such as official university websites, brochures and social media channels. "We learned that media was critical to the way students sought information about college life," Gist-Mackey said. "They used Google searches, YouTube and other types of social media to seek information about and form impressions about both academic and social experiences in college. Unfortunately, much of the media they consumed represented college as a huge party scene, which they found out was unrealistic to their actual experience in college." While students were both disappointed and relieved that college is not, in fact, one giant party, nearly all reported picking up that expectation. Those who were disappointed gave examples such as how their dorm rooms lacked a doorstop to keep their rooms open to friends and passers-by. Those who dreaded a constant party atmosphere said they were glad they weren't forced to socialize when they didn't want to and were able to find time alone. Both groups were able to differentiate what they saw in movies as likely not realistic, but they still had the expectation of a near-constant party scene because they picked it up in several other forms of media. First-generation students' expectations of academic life also did not necessarily match their assumptions. A majority of students reported being surprised that their classes were more difficult than they expected and that none of media they consumed set an expectation for the amount of work and study that would be required. "The students followed colleges through social media channels to get an idea of what life there might be like," Erba said. "Some tried to connect with current students through social media as well if they had friends at the school they were interested in. Overall, media representations did influence their preparation and expectations. Many students were a little shocked by the differences in what they found." The students reported that even representations they expected to be credible, such as social media posts by current students and representations in schools' own materials and channels, did not always match reality. College brochures are noted for emphasizing, or in some cases overemphasizing, racial diversity on campus. Some study participants reported expecting a high level of diversity on campus, yet they found that wasn't necessarily the case. Others reported expecting to experience high levels of school spirit on campus and ample opportunities to take part in athletics events, yet they didn't necessarily find that upon arrival. "The findings of this research will prove useful for many years to come, particularly as we continue to rely on technology and immerse ourselves deeper into the digital world. We found that students are seeking messages from multiple platforms, searches and connections online," Wiley said. "Students are constantly bombarded by messages from various online platforms, so it is imperative that high schools and universities seek ways to improve messages produced for an authentic online presence across a multitude of online platforms. 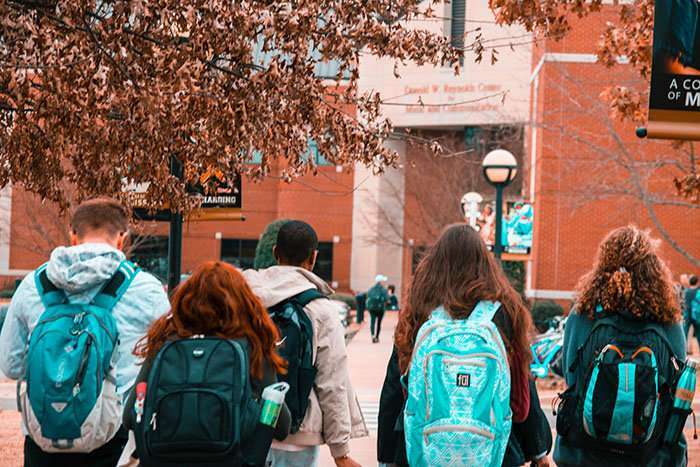 While first-generation college students were the main focus of our current research, universities should consider creating more realistic media campaigns that would help better prepare and situate expectations of collegiate life for all incoming students." "Knowing how first-generation college students are seeking information about colleges and universities and the reality that most of them are feeling misinformed about college life can help universities create more authentic messages and determine what media touchpoints to use when attempting to access this population," Gist-Mackey said. "High school and college practitioners need to collaborate more directly to reach these students and their parents before, during and after the college application and admissions processes. Institutions of higher education need to work to construct more authentic and meaningful messages about college life so that first-generation students can have better-informed impressions of what college life will be like." "We want students to be prepared for college life," Erba said. "The better prepared they are, the better they do. This could help lead to enhanced graduation rates and better experiences for students. It could be a win, win, win."